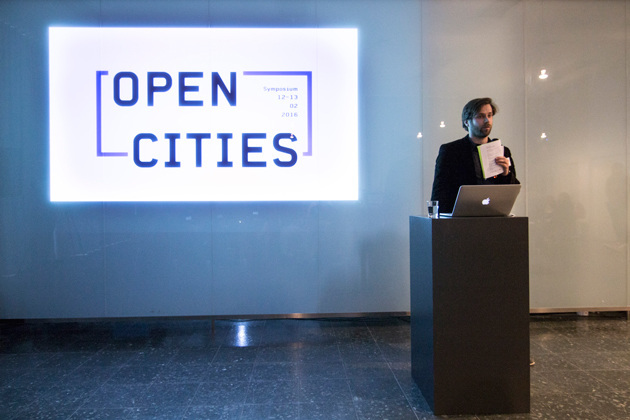 Welcome to the documentation of the Open Cities Symposium that took place on February 12th and 13th in Berlin. Drawing on our work in the German-Israeli project Community Now? from 2013 to 2016. 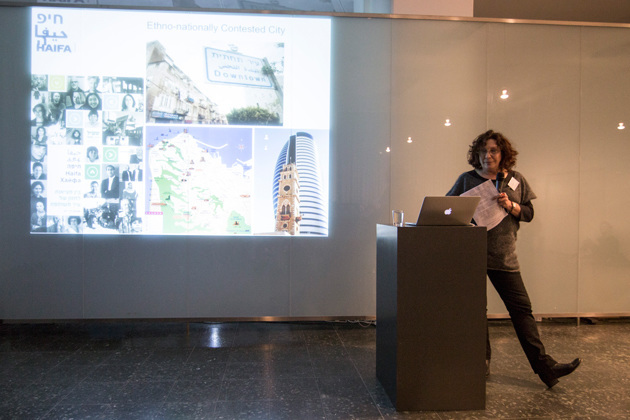 The symposium focused on meaningful tools and processes of self-empowerment in the context of cities today. 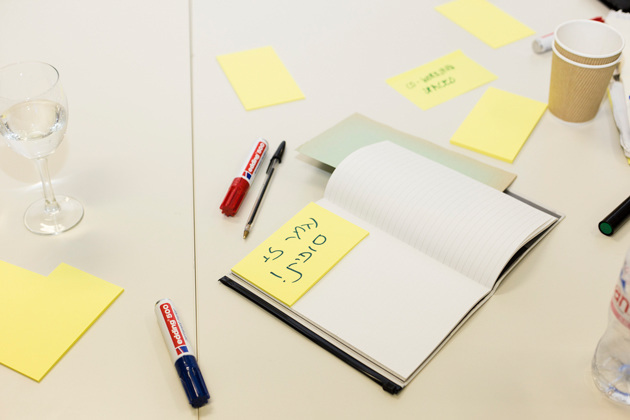 This page covers the invited speakers’ contributions, statements and questions raised during the workshops, as well as descriptions of projects presented during the event. Tel Aviv and Berlin are regarded within their countries and around the world to be open cities. Both position themselves as centers of tolerance, diversity, creativity and innovation – as environments that draw people in with diverse backgrounds and welcome them to live and work in these metropolises. In recent years, openness, self-organization and participation have become key terms in the discursive paradigm of administrations, institutions and companies. However initiatives often struggle with the disparity between proclaimed openness and the actual possibilities for takiung part in decision-making processes. A renaissance of movements claiming their “right to the city” have formed in both countries, experimenting with alternative forms of political action and self-organization. In these movements citizens often share resources and campaign actively for development. In our understanding open cities are by nature inviting and comprehensible for newcomers, they cultivate negotiation and participation and are flexible enough to re-adjust to changing needs. As designers, programmers, planners and scientists who work on meaningful tools to support processes of self-empowerment, our field is the intense middle ground between the various stakeholders. In times of a discursive omnipresence of participation we should frequently evaluate and reevaluate how our engagement can really contribute to a more democratic urban development. The current refugee migration is amplifying the struggles regarding openness and participation. This influx has created issues concerning registration, housing, education, security and health. Numerous innovative initiatives have stepped forward where administrations proved unable to cope with these urgent needs. Simultaneously, however, we are witnessing the rise of strong discourse that seeks to close borders and even suspend civil rights. This situation urges us to rethink our role as researchers, designers or urbanists and the tools we are working with. Can fences, surveillance and deportation camps really go together with the image of openness? 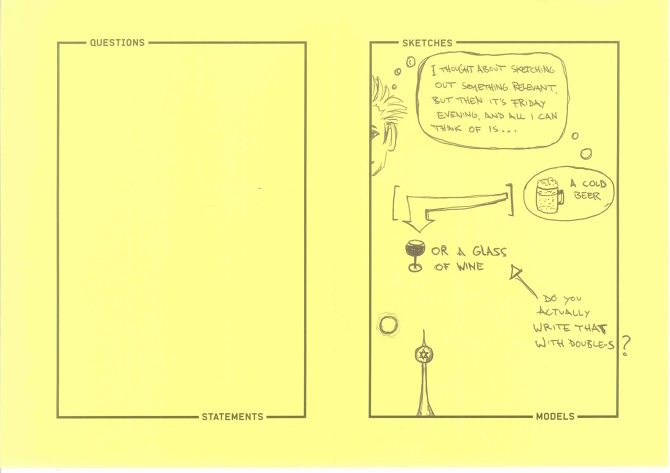 How robust are our tools and concepts of participation? Do we need to engage in re-designing open cities in order to stand the test of time? A project of the German Society for Design Research and Theory 2016. 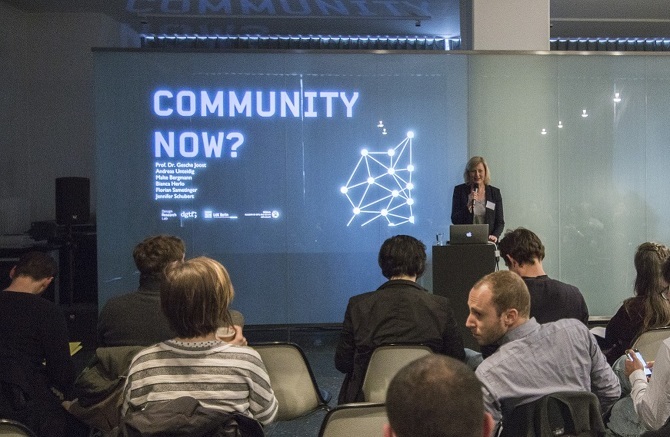 The Symposium was part of the project: Community Now? Conflicts, Interventions, New Publics. 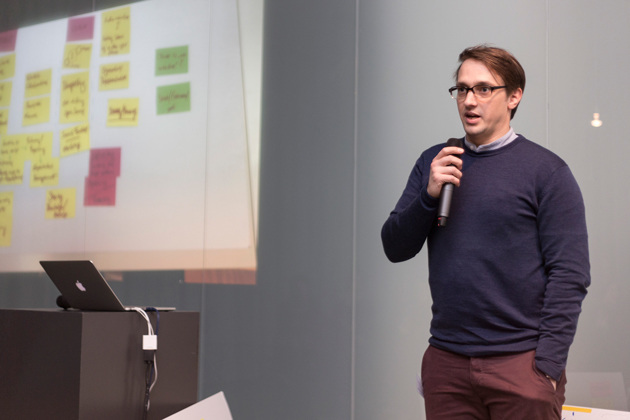 The aim of the project was to develop design tools and strategies to strengthen communities of practice to self organize and generate relevant publics for their issues. The project is an initiative of the German Society for Design Theory and Research (DGTF) and the Design Research Lab/BerlinUniversity of the Arts in collaboration with the Bezalel Academy for Art and Design Jerusalem. We established students exchange and an interdisciplinary collaboration between designers, scientists, public institutions and civil society initiatives. 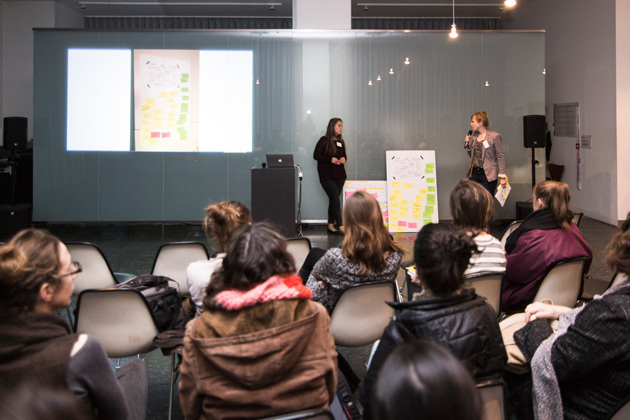 The international symposium focused on the on our role as designers, programmers, planners and scientists that work on meaningful tools to support processes of self-empowerment in cities today. Theme 1. 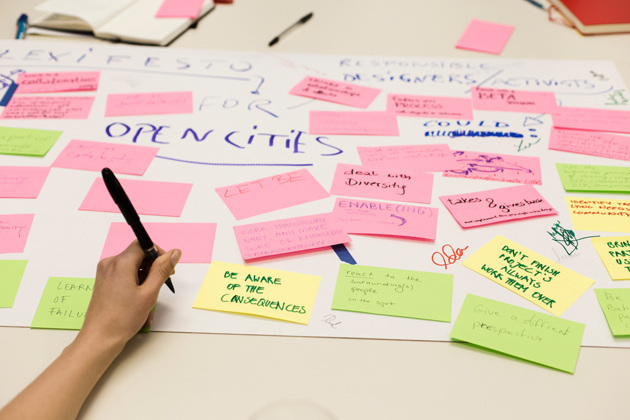 Design research perspective: What are the future participation perspectives for open cities? Theme 2. 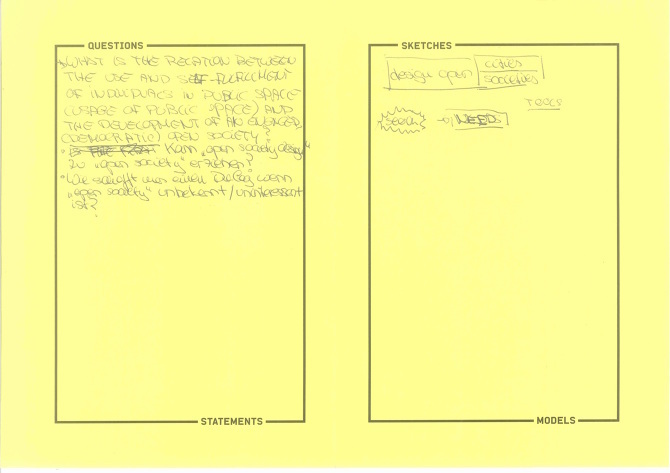 Policy making perspective: How to incorporate meaningful design tools for open policy making? Theme 3. 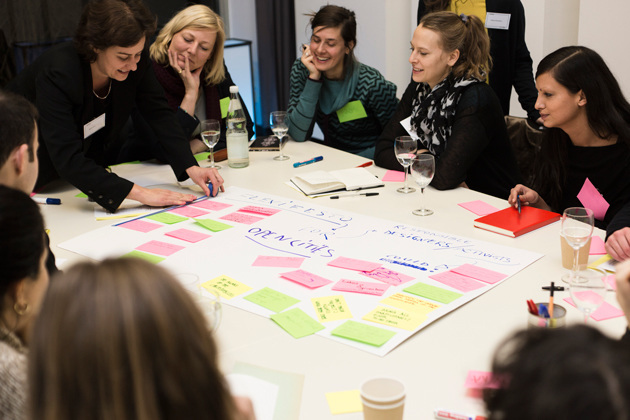 Bottom-up perspective: How can initiatives be empowered to cultivate openness? Workshop Memories of the Future by Bianca Herlo and the Community Now Team. Social design plays an ever more important role in shaping our understanding of how people can live together in a sustainable way and pursue their individual and collective goals for a happier life. It goes far beyond thinking about products and services, putting itself forward rather as a partner and facilitator for transformation processes in society. Therefore, social design aims at developing a deeper understanding of the potential of designerly interventions in diverse communities. The goal is to empower those who are marginalized to take on ownership in societal and political decision-making, with special attention paid to inclusion in processes that are increasingly becoming digitized. 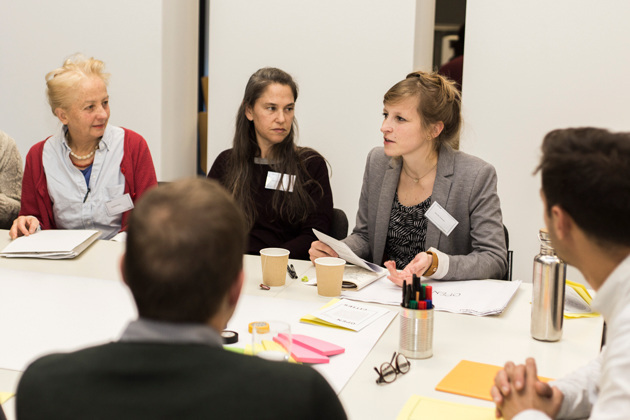 With all the projects we do at the Design Research Lab in Berlin, we are triggering the question of what role design can play in enabling participation on a social and political level in a connected society. 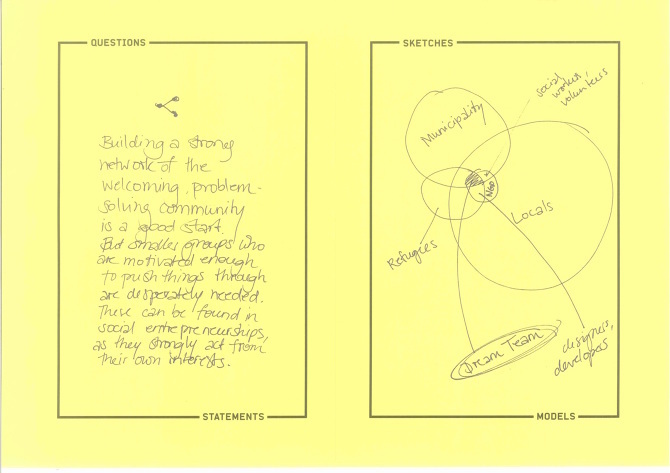 On the one hand, it can initiate processes with disparate communities and engage in participatory design in order to get a diverse variety of people involved. 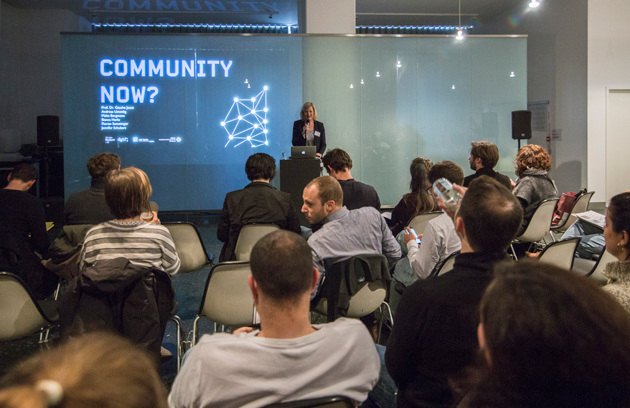 On the other hand, it can provide different kinds of methods and tools that can stimulate and support these processes – e.g., living labs, open source platforms for exchange and idea generation, or analogue and digital community networks. But we still face some big challenges: how to avoid only including the “digital elite” that is engaged in these activities anyway, how to create inclusive interfaces that bridge the digital divide, or how to bridge the gap between analogue and digital tools and processes. 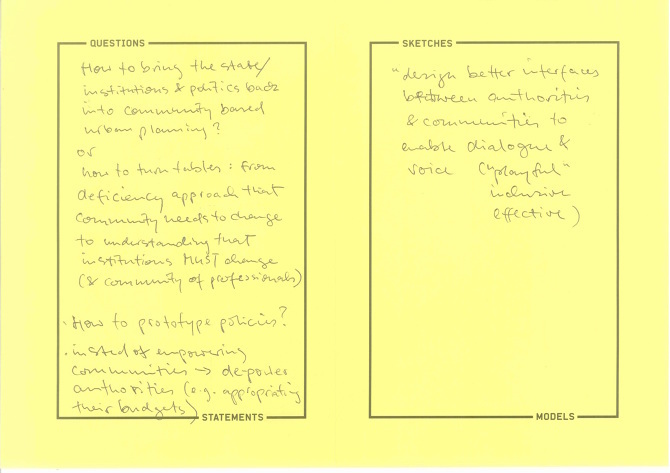 Some overall goals for social design processes are to shift authorship to local actors in participatory design processes. This goal is fundamental in creating a sustainable process that will continue even after the “project phase” has ended. Furthermore, creating interfaces between local and global and designing scalable tools and processes (open source) are important parameters of the process too. Digital tools tend to address the “global community,” but they have an important part to play in local processes as well. Hence, social design has to conceptualize the interplay between these two dimensions. Scalability of the tools and processes is again an argument for sustainability. Inspiring other initiatives to re-use and further develop them creates strong ties between the different communities and pushes their evolution. Filed under Input, Social Design, Community Now? Rachel Kallus - Only Participating Urban Residents Can Build an Open City! 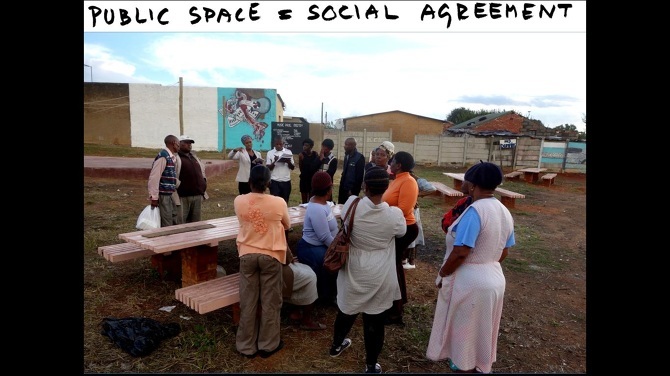 Participatory visualization is a platform for discourse among urban residents that offers opportunity to share and exchange ideas about the potential of the urban space. Visualization is not a neutral tool. But if carefully approached through share processes, it could build a collective identity that reinforces a sense of shared ownership of the city and turn residents from passive to engaged urban citizens. In the process citizens learn to demand their rights, to get organized, to work successfully with NGOs and to negotiate effectively with authorities. In the process of participatory visualization, working with local residents, it is important to offer a number of alternatives in order to show multiple possibilities. 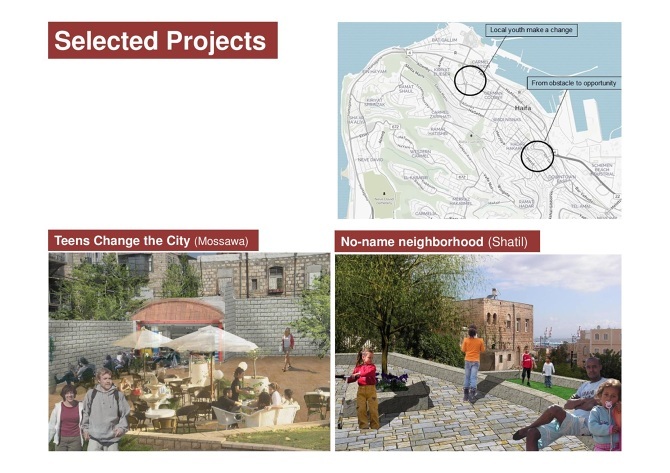 Various solutions encourage the residents to choose, to consider possibilities, and essentially to learn that proposals (including those of the Municipality) are not final, not “graven in stone”. 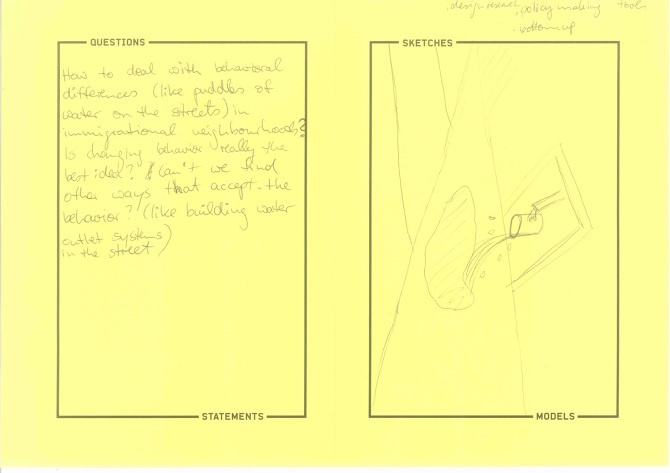 It is also important to contextualize the proposals in the residents’ everyday life. Visions of the future accompanied with signs of the real place, such as actual houses in the background or other recognized views, help local residents place the proposals in their context. This could be done using graphic manipulations over photographs taken in actual places. Images of familiar local people in the presentations are also reassuring and help to contextualize the proposals. Inserting stories and narratives help to ground the images in the local scene, and express the hopes, desires and wishes of the residents. In multi-lingual environments it could also be useful to include texts in the various languages. The significance of participatory visualization is in developing new relationship between professionals and local residents in which a dialogue enables new perspectives of the city. On the one hand it allows designers to see the city through the inhabitants’ eyes and focus on hidden assets. On the other it enables the residents to point out the spatial problems they encounter, as well as to better understand the potentials of their environment. The term “open city” raises a lot of debate. From a positive point of view associations regarding this term tend to be: An open city ought to do what the people want; it should be open for diverse policy making; all of the data must be open access for everybody. An open city should feel like “home” to as many citizens as possible, in an open city everything would be connected in an analogue as well as digital way, such that creativity can be expressed in a really diverse and easy manner. The open city should be discursive and antagonistic and should offer spaces full of potential. From a more critical point of view the term “open city” is not trustworthy. Taking into account the fact that a majority of citizens lack access and connectedness, it is hard to imagine an expeditious way of improving this situation. Presently the open city is characterized by exclusive access by a privileged few, those with a good education, higher income or who are better informed. The “digital divide” as well as the power of companies who own huge swaths of citizens’ data are only two of many disturbing factors of the so-called “network” or “smart” city. One must be aware of for whom the city is open and for whom it is not, as well as who is in charge of granting citizens access to the advantages and potentials of the city. The consensus among participants of our roundtable was that in most cases bottom-up initiatives – whose agenda is generally to make the cities more open in a diverse way – are the ones who suffer most from a lack of funds, due to a lack of support in the political system or because funding opportunities are too academic, exclusive and complex. Thus a sufficient “community network” and “basic funding” are missing. So the roundtable participants asked themselves what subversive ways are available to access money in order to use it for bottom-up policy making approaches. One idea was the “Trojan horse” principle: accessing funds through topics like “technology,” "innovation” or “smart city” – and after the approval pushing the project towards a "social city” approach with the participation of bottom-up initiatives. 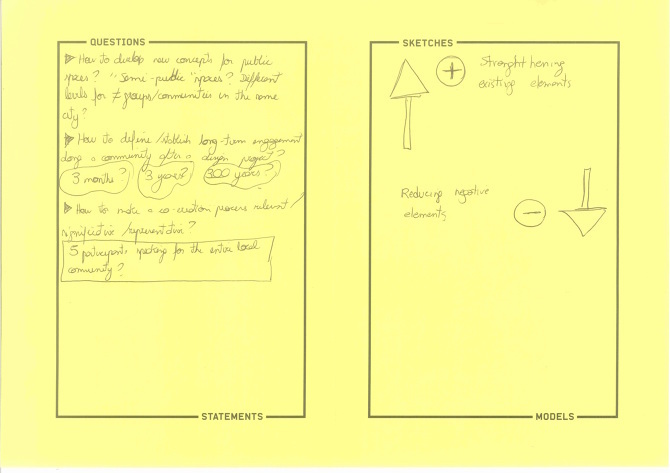 Filed under Statements & Questions, Roundtable 2, How to incorporate meaningful design tools for open policy making? 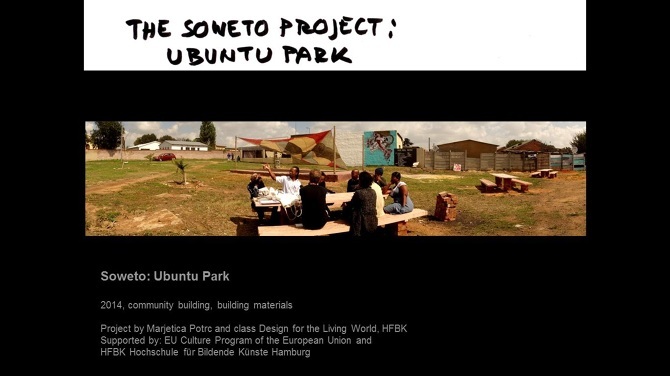 The Soweto Project in Soweto, South Africa, is a participatory project by Marjetica Potrč and students of the Design for the Living World class (University of Fine Arts/HFBK, Hamburg, Germany). 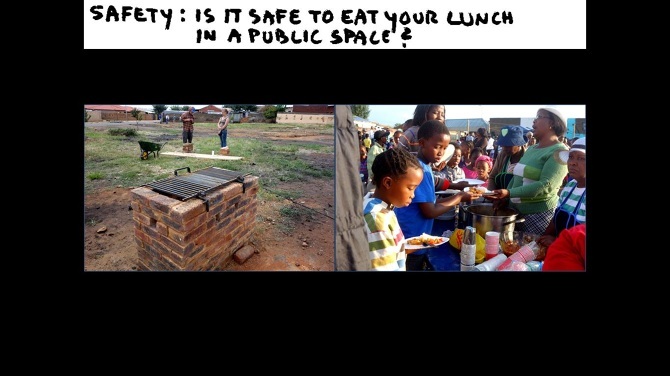 During the long-term residency in spring 2014, the local residents and students turned a formerly vacant public space that had been used as a dumping ground into a community-organized public space called Ubuntu Park. We built a stage, braai-stands (BBQ stands), tables and benches together. 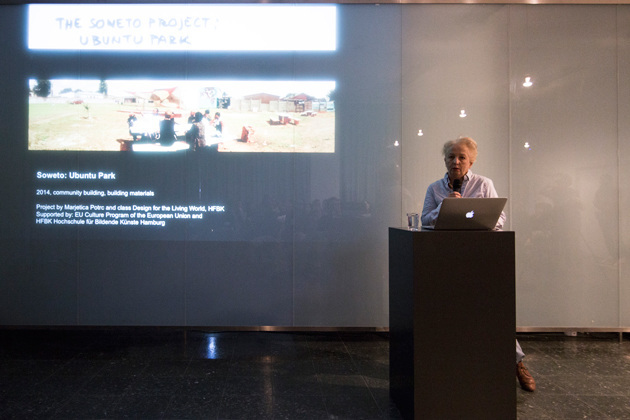 To open Ubuntu Park, and to celebrate the community, we organized the Soweto Street Festival. 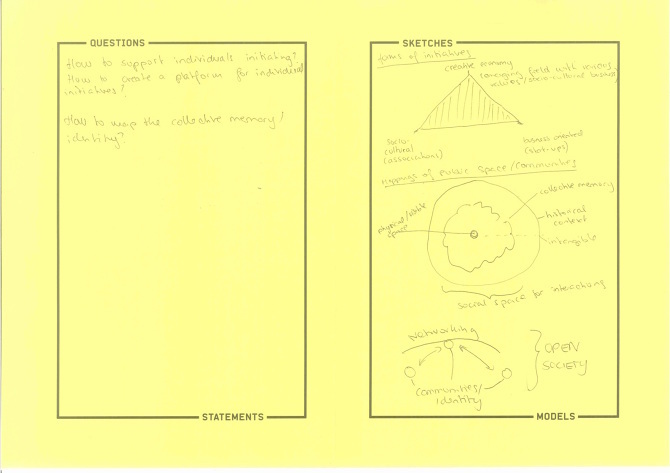 The project follows four steps of participatory design. 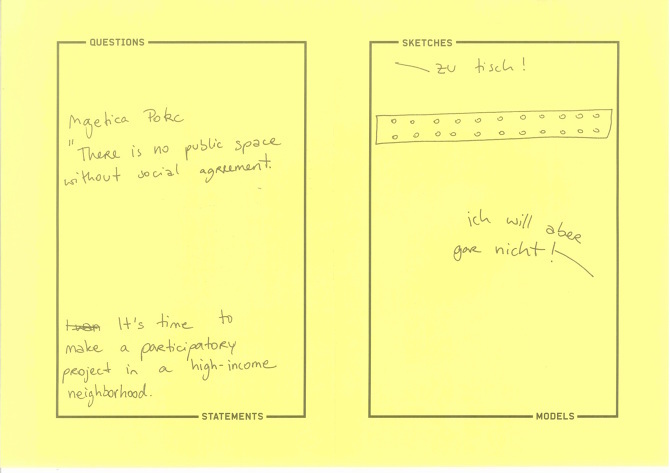 Negotiating the Future of Urban Living. movements, clusters and hubs, which presents the citizen as actor with a broad range of different forms of participation. 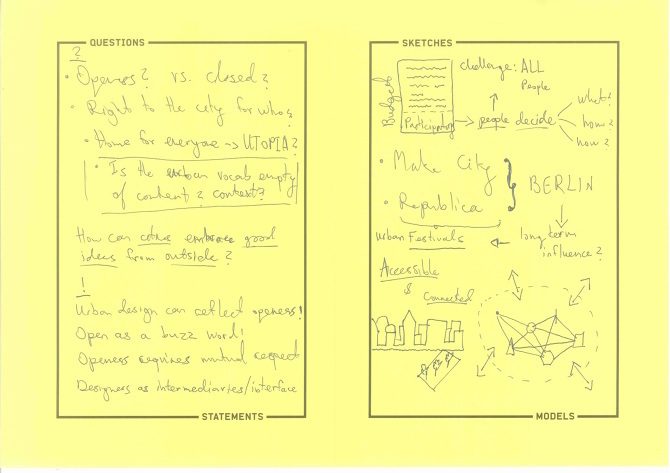 One of the key impressions of the discussion was that rather than occupying set roles such as “designer who works with initiatives” or “political activist” as opposed to “politician”, many actors in Berlin organize themselves according to topical clusters and act in a wide variety of forms and levels. We see more and more cross-fertilizations and blending of formerly separated perspectives, such as political action and entrepreneurship or activism and administration, research and development. In the course of the workshop, the “luxurious” Berlin’s situation in comparison to Tel Aviv or Haifa quickly became apparent. It almost seems like Berlin is over-saturated with its myriad cultural and political cooperatives and initiatives, whereas the political and economical system in Israel appears to be a much more difficult terrain for political and countercultural production. 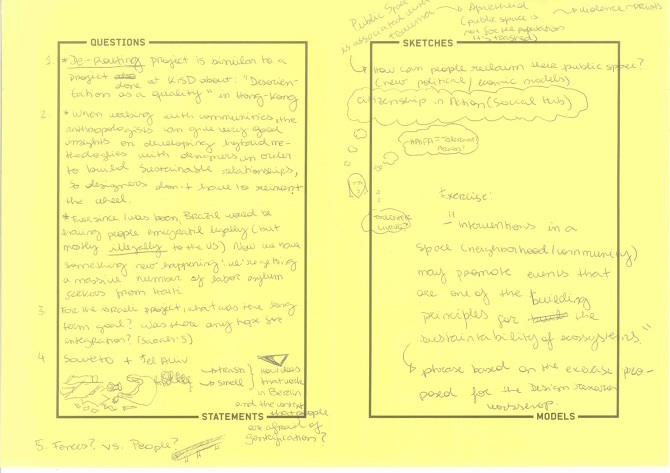 Filed under Statements & Questions, Roundtable 3, How can initiatives be empowered to cultivate openness? The flexifesto represents a mindset rather than a set of rules to be followed. As a flexible manifesto it can be updated and extended. 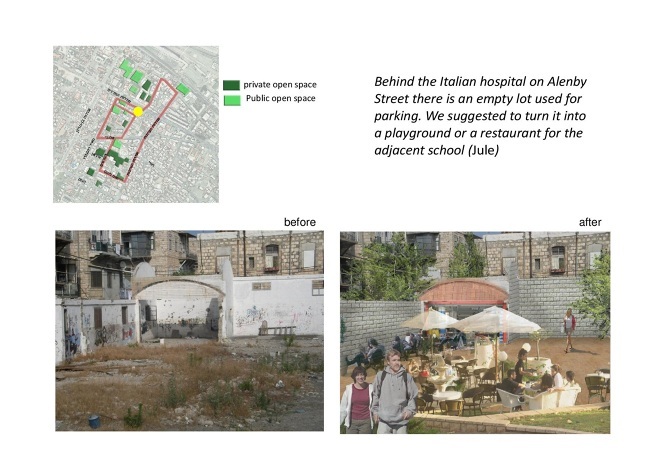 It is excellent for showing how fields of action towards structures that foster the concept of "open city" are independent of background/discipline: They can be adopted by designers as well as activists, social entrepreneurs or planners. Filed under Statements & Questions, Roundtable 1, What are the future participation perspectives for open cities? In a project with a mixed local community, the students participated with residents threatened by the construction of an inter-city road. Residents of different ethno-national backgrounds had no previous contact with each other, but the arrival of the bulldozers compelled them to get organized. With the students, assisted by Arab and Amharic translators provided by Shatil (the New Israel Fund’s Initiative for Social Change), the residents delved into the plans, understood the proposed changes, and realized that they would have to take action. They realized that it would be possible to create a series of open spaces along the road to divide it from the neighborhood. The students and residents then toured the area to locate potential spaces and determine the residents’ needs. With this information the students started to develop places that would answer these needs, checking options and alternatives with the residents. They showed residents visualizations of each place with before-and-after images, asking them for comments and suggestions. 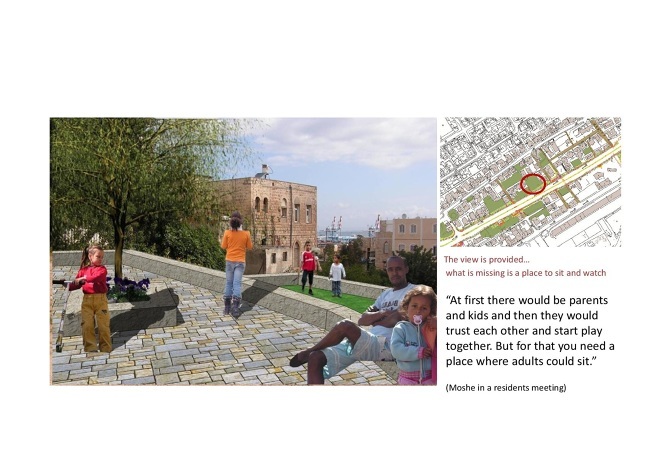 Together with the residents, the students finally came up with a linear green strip alongside the new road, comprised of small parks with seating areas, and a youth center in one of the derelict buildings. Using the presentation residents approached the municipality and declared “THIS is what we want!” Although unable to stop the road, they managed to negotiate positively with the municipality, and were assigned a landscape architect who worked with them on the development of one of the parks, exploring alternatives in community workshops in which residents made drawings and actually built models. The residents were also involved in the actual construction, creating mosaics for tables and benches. Assisted by the municipal social services department, this was a communal building effort. This process turned passive and bitter residents into engaged urban citizens who work successfully with NGOs and the authorities to improve their lives and exercise their urban rights. This reveals the potential of spatial visualization as an empowering tool and a means for civic action. 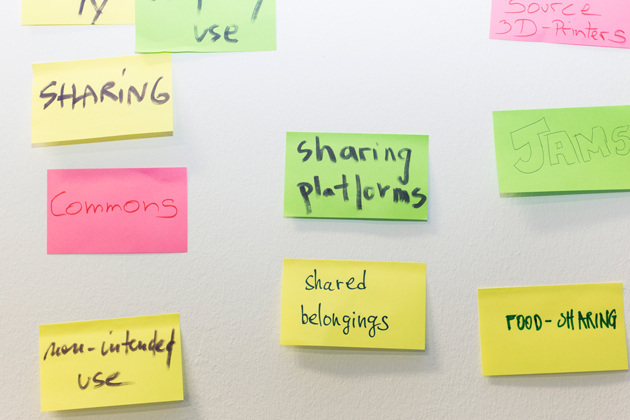 Participatory design encourages participation and puts users in the foreground. For the students in Design for the Living World, this means working alongside local residents and exchanging knowledge with them. First, before we develop any plan, the students learn about the specific needs and circumstances of the community. They do in-depth research about the place, the people who live there, and the challenges they face. This research naturally leads to preconceived ideas, which students need to be ready to drop when they come into contact with the actual locality and the residents. Second, the community becomes involved in both the decision making and the realization of the project. This is essential. The project must be adopted by the community – it is not imposed on them. It remains in the community and is managed by them for good or bad. At this point, it becomes an organic part of the community life. 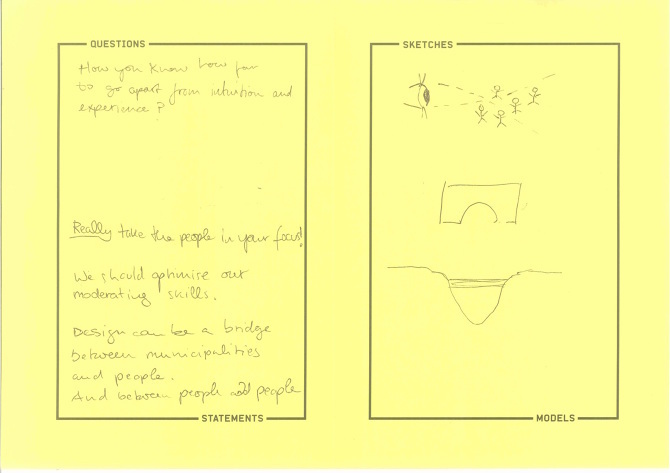 Participatory design is a slow process, but it benefits for the local communities last a long time. Why is collaboration so important? Because the complex challenges we face today demand complex solutions, which are found only by using diverse knowledge that is exchanged between people from different disciplines and backgrounds. This exchange helps us arrive at outside-the-box solutions, which I sometimes call “sleepers”: latent solutions that can be awakened by someone from outside the given situation.